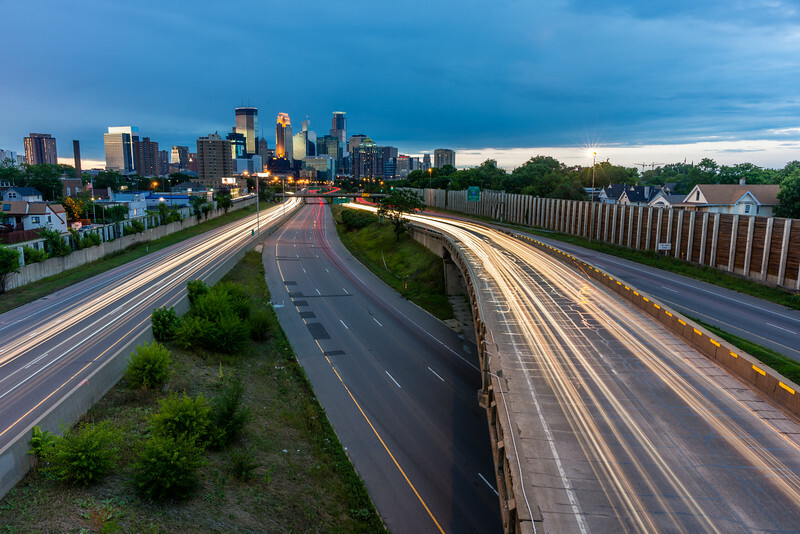 This is maybe THE iconic view of Minneapolis taken from the 24th St pedestrian bridge over interstate 35W. I had to share a few more shots from here as the sunset was magnificent. The other reason is there is a plan to expand the transit station and add additional freeway access in the area around Lake Street. A few of the bridges may be replaced including the pedestrian bridge I’m standing. If the plan goes through construction it may impede the view and eventually there won’t be a bridge to stand on for this shot at least for a while. To see the full gallery go to Minneapolis Skyline 35W View. 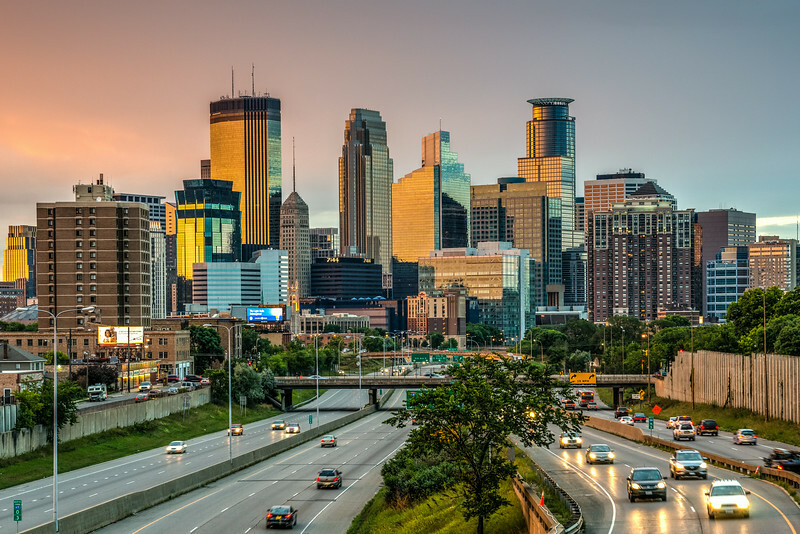 Sunset view of Minneapolis skyline. Here’s a view of the pedestrian bridge (below). On the right there are probably 5-6 holes cut into the fencing for photographers to use. 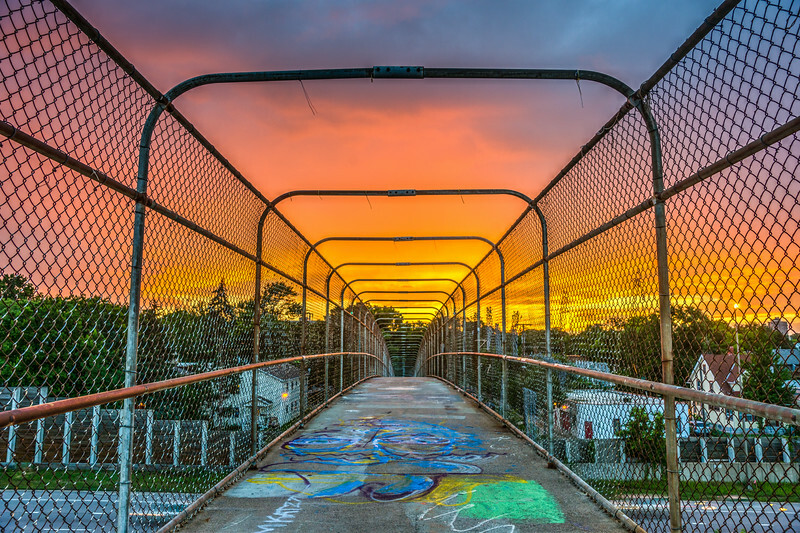 The pedestrian bridge at 24th St. in Minneapolis. Here’s a closer view of the diffuse light on downtown Minneapolis. To read more about the proposed redevelopment plan go here. Finally a long exposure shot with the light trails. Light trails leading to and from Minneapolis. 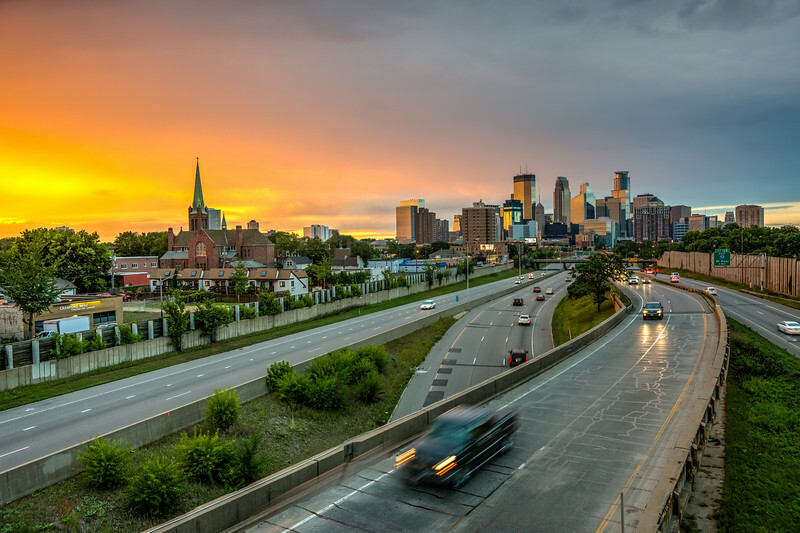 The Minneapolis Skyline from 35W gallery.